Equi-Heart Pledge: Author Interview 2! Who are YOU with Horses? 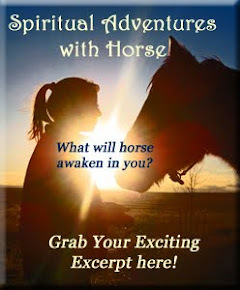 Join me for a fascinating discussion with contributor to Spiritual Adventures with Horse e-book, JuliAnne Lynch, founder of EPALA, in Northern Wisconsin. We explore her amazing Dorothy Moment of blessing with a sort-of-wild-herd in Arizona- who encircles her unexpectedly during a run on their home ranch land! 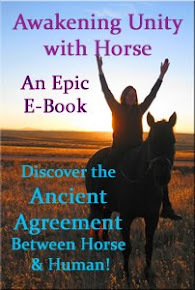 Then discover the equally fascinating world of Equine Archetypes! Start to explore with us which archetype you embody when you spend time with horses, as Juli shares about her forthcoming book: Who Are You with Horses? Gallop on over here to listen to the interview! Juli's chapter in Spiritual Adventures with Horses in which she shares this wild herd encounter is one of my absolute favorite chapters because of Juli's color-ful, poetic narrative that brings the experience to life on the pages in front of you! Grab your full copy of the book, including her special guided breathing exercise here. Learn more about Juli's work with horses and stay updated about the launch of her equine archetype book- Who am I with Horses? - so you can grab your copy when it becomes available soon at Epala.org.